Why use Chronicling America in the Classroom? Chronicling America provides an opportunity for 21st century students to search, analyze, and learn from historic American newspapers from 1836-1922 in a setting they’re familiar with: the Internet. International, national, statewide, and local themes and events at the time they happened can now be easily viewed and dissected. Historic newspapers are one of the very best primary sources, as they illuminate perspective, cultural values, and show history as it happened. 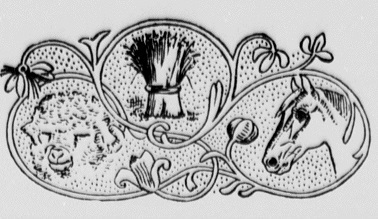 What might this masthead say about what was important to citizens in Middlebury, Vermont, in the mid-1800s? A close-up of the masthead image. Our lesson plans have been created using the Common Core Standards and Vermont Standards. All are available for free download and are easily adaptable. Historic newspapers align with many of the new Common Core standards, particularly with the new emphasis on non-fiction texts. Every year thousands of students across the country conduct original historical research on a topic related to a theme and then present their work on the state level; the top projects move on to the National History Day contest. Key to this is the use of both primary and secondary sources. 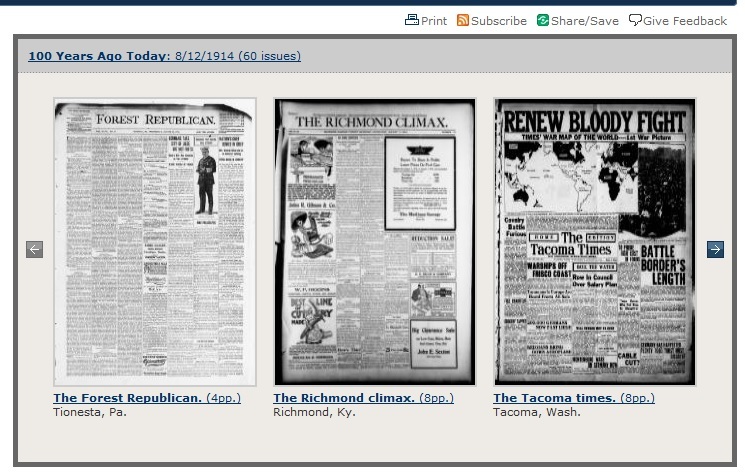 Historic newspapers on Chronicling America can be vital resources for students! There’s a new award category for projects that incorporate newspaper resources available at Chronicling America in the Junior and Senior divisions on the national level. Sponsored by the National Endowment for the Humanities. Vermont Historical Society Website for Vermont History Day. 2013’s VTDNP Vermont History Day guide [PDF]: Vermont-specific content example. National Endowment for the Humanities Edsitement webpage: go here for lesson plans, ideas, and award category description. 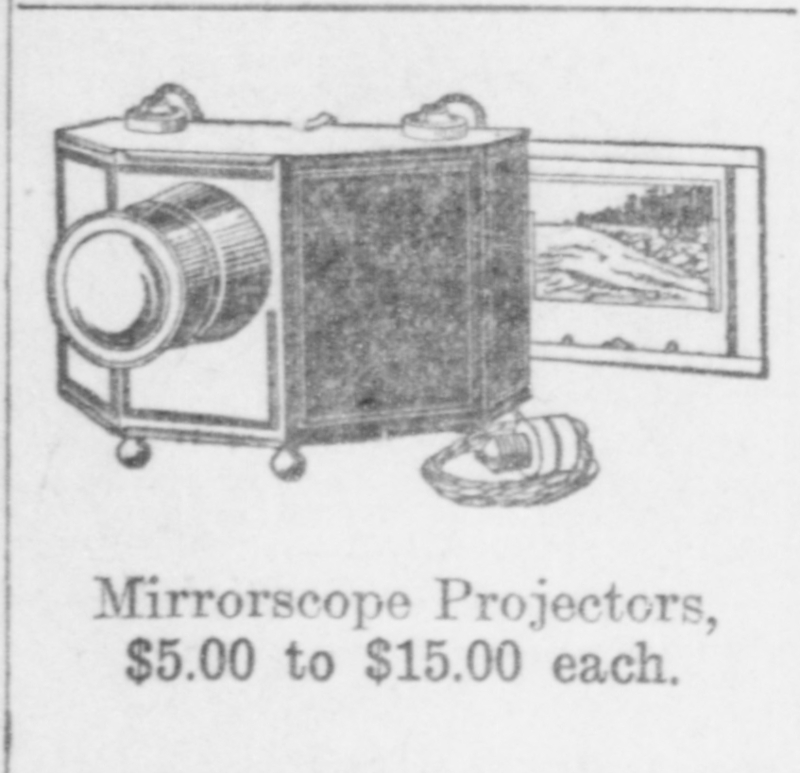 What can you learn about this product by looking at this advertisement? What might it have been used for? Pick a historic building in town to research (like a church, library, store). Feel free to have students start from our collection of Vermont historic buildings on Flickr. 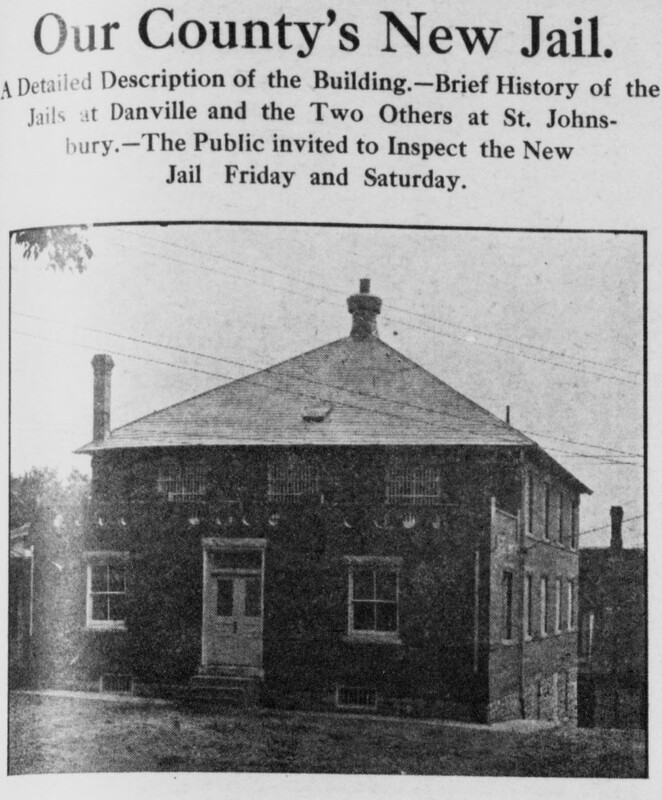 A detailed description with images of Caledonia County’s new jail in 1908. Select an important event in history, such as an election or war, and then have students find and compare it on national or local perspective. How does the point of view differ? Vocabulary scavenger hunt: give students a list of vocabulary words and have them search the words in newspapers, using context clues to figure out meanings. Do a “This Day 100 (or any #) Years Ago” activity. Have students scan a local paper and find something interesting to report back to the class on. You can use the front page of the Chronicling America website to do this on a national level. Look at the front pages from across the country: What is making the headlines? How does the news differ from state to state, newspaper to newspaper? The home page of Chronicling America allows for easy searching of all the available newspapers published 100 years ago in the United States. Use our Flickr and Pinterest albums for browsing or introducing Chronicling America and the information that can be found. For example, have students browse our Newspaper Advertisements, 1836-1922 collection on Flickr. Students could pick an advertisement from the collection to focus on. Ask: What does this advertisement tell us about the period? 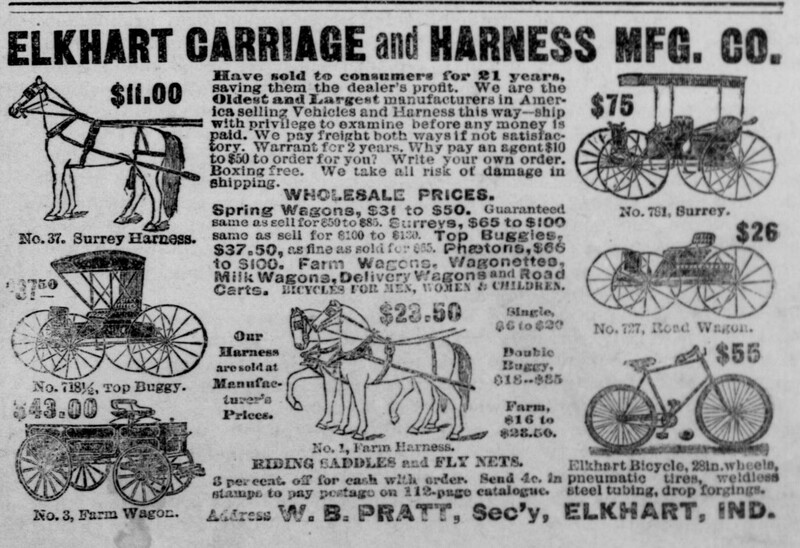 What does this advertisement tell us about transportation in 1894? What do you notice about the prices of the bicycle versus a horse or buggy? What might that price difference mean? Have students explore our interactive Google Map, showing the locations and newspaper titles available on Chronicling America.